Linkin Park has always been one of the world’s most iconic, innovative, and groundbreaking bands. In 2005, the influential artists stated their philanthropic arm, Music for Relief (MFR), to help respond to the devastating tsunami in Indonesia. 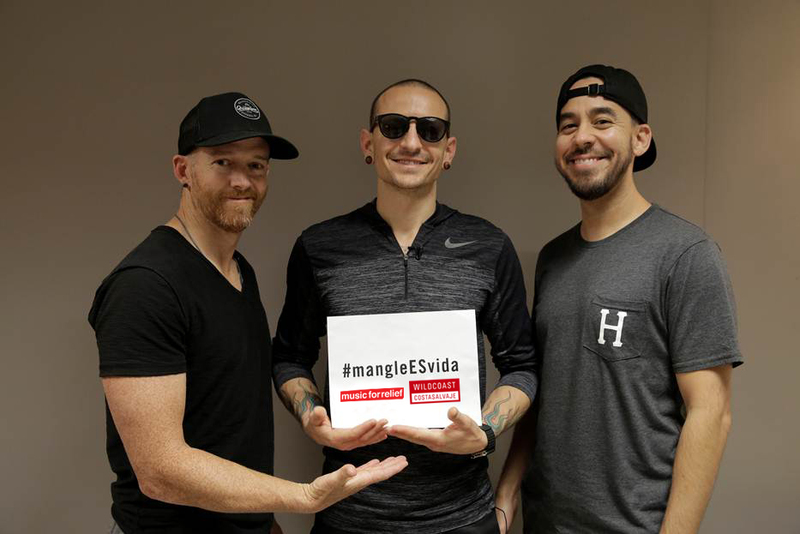 Linkin Park members Dave Farrell, Chester Bennington, and Mike Shinoda show their support for Music for Relief and WILDCOAST’s #mangleESvida campaign. Since inception in 2005, Music for Relief has raised over $7 million for survivors of multiple disasters across four continents, including Hurricane Katrina, China’s Wenchuan earthquake, a cholera outbreak in Zimbabwe, earthquakes in Haiti and Japan in 2010, and Typhoon Haiyan in the Philippines. MFR has organized benefit concerts, online auctions, and events with multi-platinum musicians and celebrities to help rebuild and donate supplies to people in need. Music for Relief has also planted over 1 million trees to help reduce climate change. Mangroves on Isla Magdalena, Bahía Magdalena, Baja California Sur. Since WILDCOAST has been working to preserve mangroves in Baja California and throughout Northwest Mexico through the innovative use of conservation concessions in partnership with Mexico’s Protected Area Commission, this offer of support was right up our alley. More importantly, the program seeks to help to prevent climate related storm damage by protecting the natural ecosystems that help to mitigate coastal flooding, protecting wildlife and coastal communities. 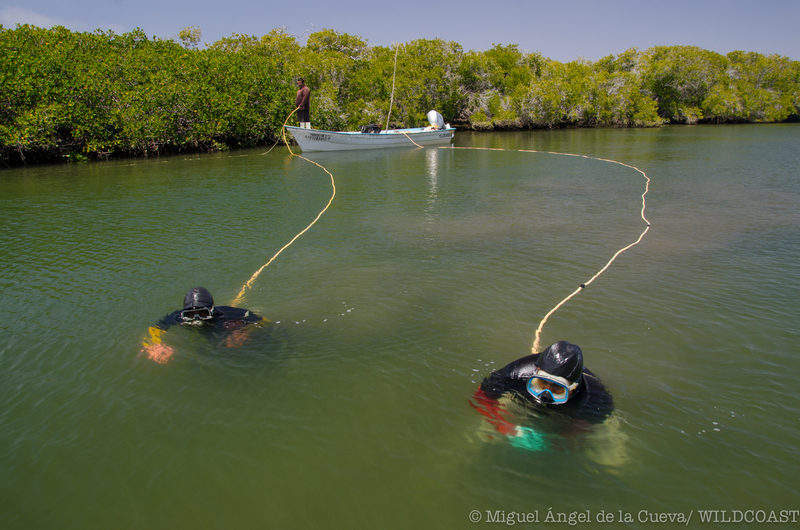 Divers hunt for scallops in Bahía Magdalena. Mangroves are botanical amphibians that form forests, which are among the most productive and biologically complex ecosystems on Earth. They are the tropical rainforests of the ocean. The plants’ interlocking roots stop riverborne sediments from coursing out to sea – making them natural land builders. Their trunks and branches serve as a palisade that diminishes the erosive power of waves. Following the 2004 Indian Ocean tsunami, research demonstrated that where mangrove forests were intact, they served as natural breakwaters, dissipating the energy of waves, mitigating damage, and saving lives. Mangroves are threatened by development, oil spills, chemical pollution, sediment development, oil spills, chemical pollution, sediment overload, climate change, and disruption of their sensitive water and salinity balance. 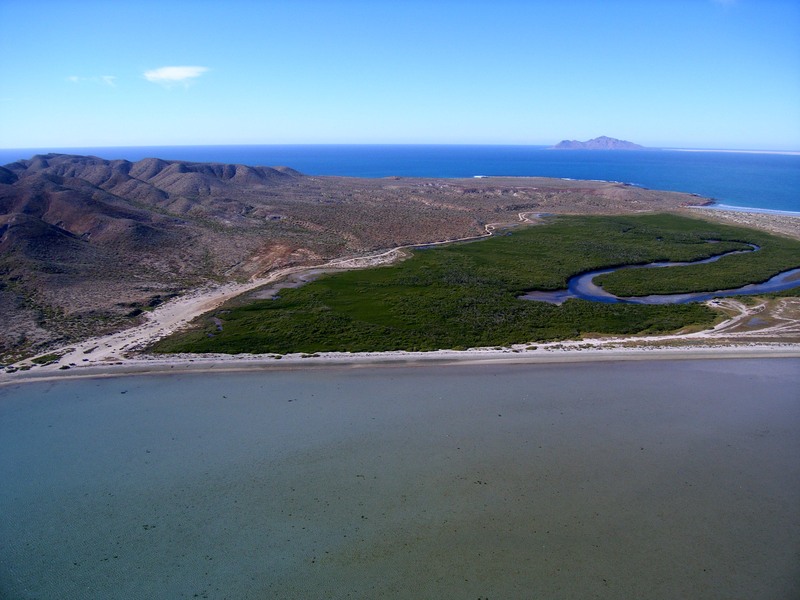 Music for Relief has partnered with WILDCOAST to conserve 61 miles of mangroves in Magdalena Bay, Baja California Sur, Mexico. 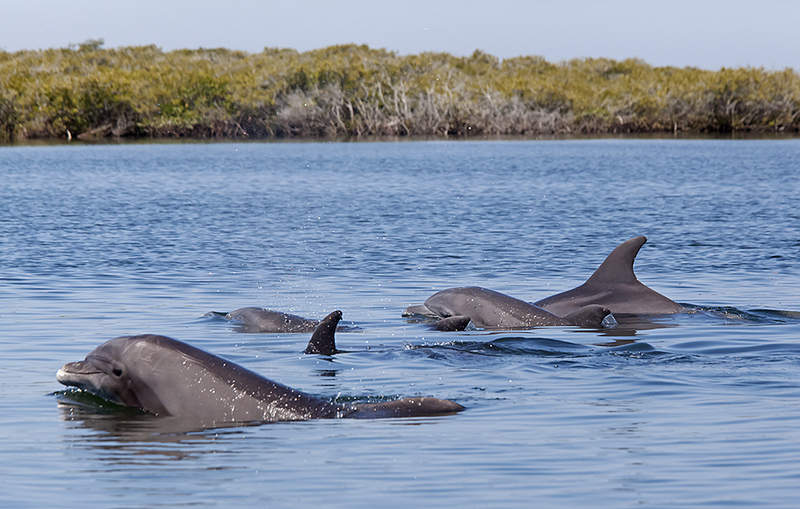 The program will help restore wildlife habitats, protect coastal areas, and keep our ocean pristine. This past April we launched this new partnership at the Mobli Beach House in Venice Beach. Linkin Park guitarist Brad Delson attended, along with MFR Director Whitney Showler and their incredibly creative and passionate team members. 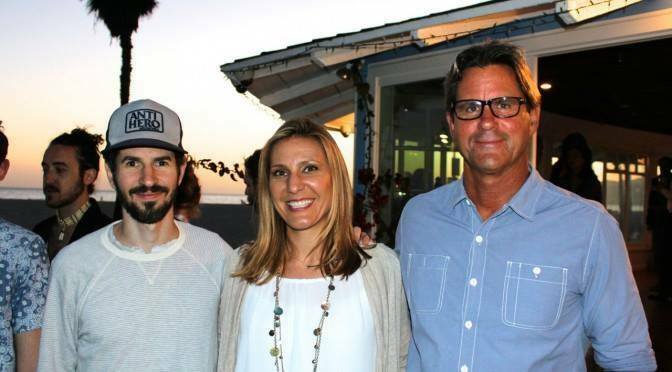 Brad Delson of Linkin Park, Whitney Showler of MFR, and Serge Dedina of WILDCOAST at the MFR Mangrove/Ocean Campaign Launch in Venice Beach. This is an exciting night for us because it’s the first time we’re doing an ocean program. The environmental work we typically do is aimed at disaster risk mitigation; we plant trees in wildfire burned areas, or we plant trees in an area where there is a potential for a mudslide, and we’ve wanted to do something to help protect the ocean. Following the 2004 Indian Ocean tsunami, research demonstrated that where mangrove forests were intact, they served as natural breakwaters, dissipating the energy of waves, mitigating damage, and saving lives. It’s a way for the entire music industry to come together after natural disasters and raise money and support people who are effected by these events. We’re really grateful that our music has given us a platform to affect positive change when we have the help of amazing people like some of the folks here tonight. It’s certainly one of the ongoing objectives of Music for Relief to be a voice and an extension of the music industry as a whole. So when other artists join us, when fans online get involved in causes, that’s when we see the greatest impact of our efforts. 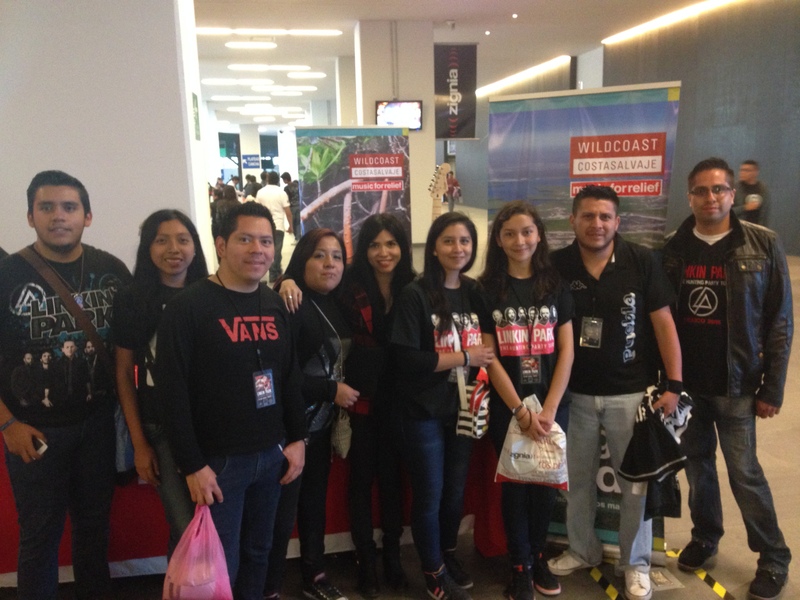 So at the June 23rd Linkin Park concert at the Arena Mexico in Mexico City we fully launched the campaign in Mexico. On June 25th we also tabled at the Arena Monterrey in Monterrey. 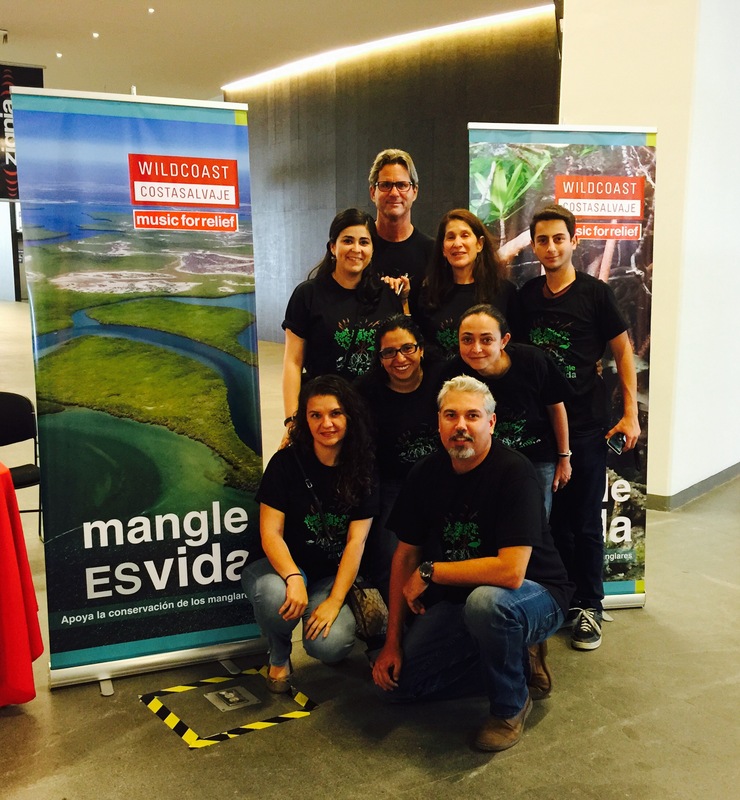 It was a great opportunity to broadcast our message, #mangleESvida (Mangroves are Life), and to reach out to a whole new conservation audience. The concert attendees couldn’t have been nicer and swarmed our tables to get more info and a chance to win an electric guitar signed by band members. Overall it was a great start to a fantastic and critical partnership for preserving oceanic ecosystems that are absolutely essential in preserving life and protecting our oceans and our planet. I found the positivity, passion, and earnest interest in social change and environmental protection on the part of LP’s fans really inspiring. It was a hopeful, exuberant crowd, and exactly the type of audience conservationists need if we are to continue our effort to sustain the ecosystems that sustain life on Earth. We are grateful to Linkin Park and their fans, along with MFR, for making it possible. 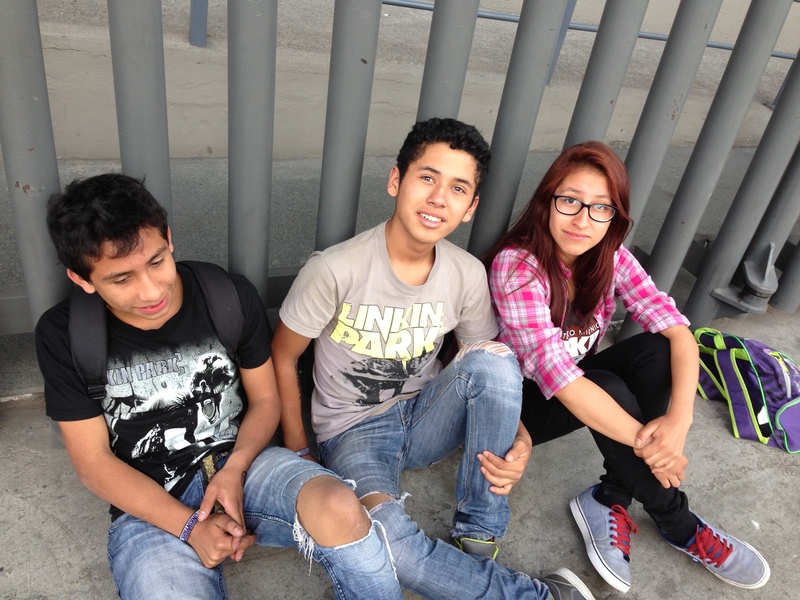 LP fans in Mexico City – full of hope and optimism. 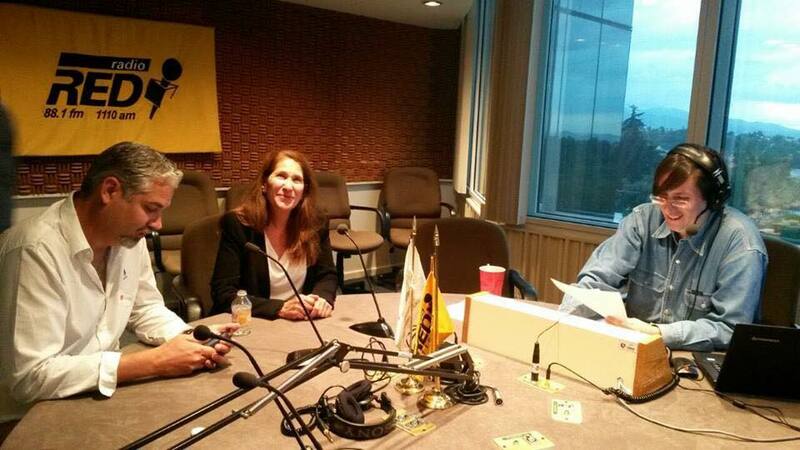 The day after the Mexico City LP concert, we took advantage of our stay in Mexico City to get our message out on Radio Red and to meet with influential Mexican policy makers. As always, it is not just enough to reach out – we have to make sure that every campaign actually makes a difference on the ground – and in this case we have to do everything possible to preserve the emerald green mangroves of Bahía Magdalena and Mexico’s incredible array of mangrove forests that are a natural buffer and shield against a climate-changing future that is coming at us more quickly than we can imagine.